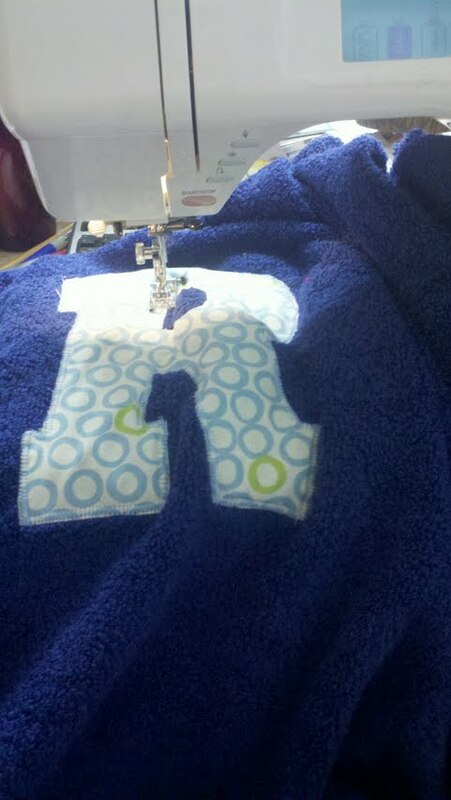 Sew! Can! Kenna: The Super Hero's! 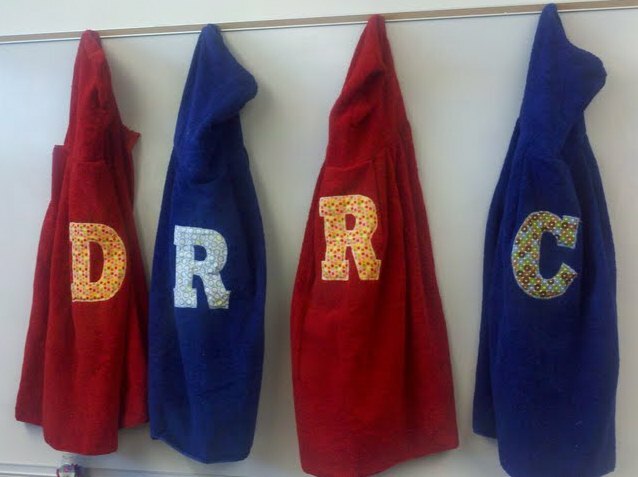 So for Christmas this year I decided that all the wee beasts in the family would get their own monogrammed towel. I made a bunch for the punk earlier this year and I love them. 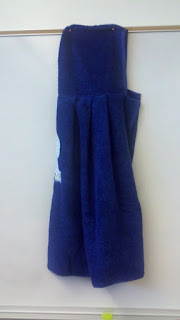 They are AWESOME for after the bath or the pool or the beach and snugly and soft. The back story is that I saw some in a boutique for $25 a pop and was shocked and not willing to spend that much money, no matter HOW cute. So I went home and started playing and came up with an easy pattern and a winning combination using the Quick Dry towels by Restore and Restyle at Target. They are still 100% cotton, but they are super fluffy and soft, they wash well and they don't fade. Oh, and they are cheap! I print out letters onto 8 1/2 x 11 paper and then sprayed the wrong side of the fabric with quilt basting spray and adhered the front side of the paper to it, then cut around the letter and the paper together. That way the back of the letter would peel off the paper and I could stick it to the towel, and pin for extra strong hold. Then I attached it with a blanket stitch. Here is a view of the towels all lined up! I had to put them up on the white board in the classroom to take a picture. They are for David, Ryder, Rigo and Colin respectively. I don't have the girl's towels done yet, so I will post those when they are finished. They are the same but the monograms are on the front. I am going to try to write a tutorial for these and post it later!! Stay tuned!